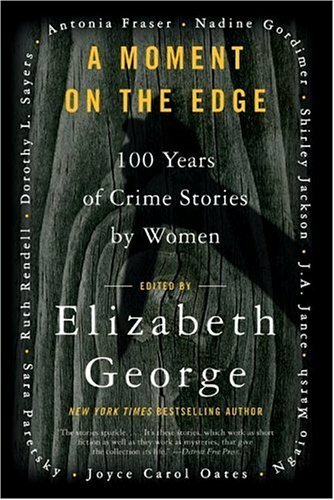 New York Times bestselling author Elizabeth George serves up a century's worth of superb crime fiction penned by women. This veritable all-star team delivers tales of dark deeds that will keep you reading long into the night. Included are these works: "A Jury of Her Peers" by Susan Glaspell The Summer of People" by Shirley Jackson "The Irony of Hate" by Ruth Rendell "Country Lovers" by Nadine Gordimer "Wild Mustard" by Marcia Muller "Murder-Two" by Joyce Carol Oates A Moment on the Edge is a rare treat not only for fans of crime fiction but also for anyone who appreciates a skillfully written, deftly told story. Elizabeth George was born on February 26, 1949, in Warren, Ohio. She received a bachelor's degree in education from the University of California in Riverside and a master's degree in counseling/psychology from California State University at Fullerton. She taught English in high school for about thirteen years before leaving to become a full-time writer. Her first mystery novel, A Great Deliverance, was also the first book in the Inspector Lynley series. It won the Anthony Award, the Agatha Award, and France's Le Grand Prix de Literature Policiere in 1989. She received Germany's MIMI for her novel Well-Schooled in Murder. Most of her novels have been filmed for television by the BBC.